27 September Morning (9:00 to 14:45 ). 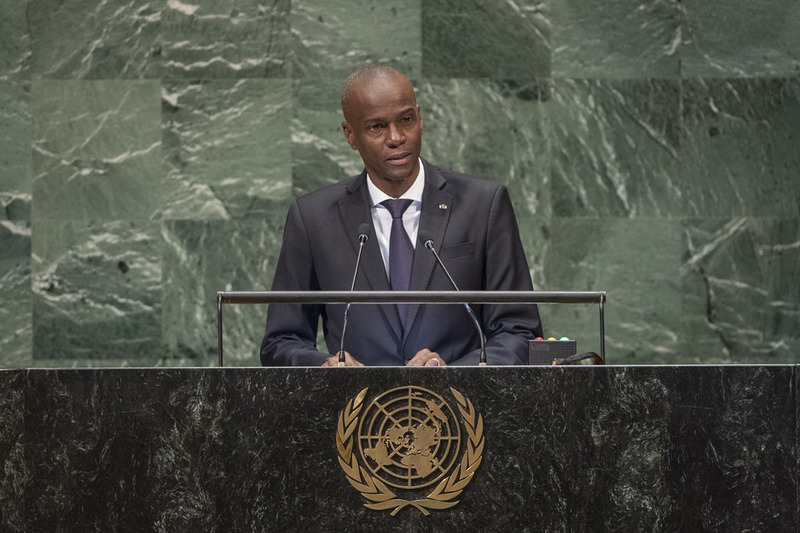 JOVENEL MOÏSE, President of Haiti, said that the General Assembly faces two underlying questions: how to optimize mechanisms for international peace and security; and how international solidarity can be translated into a more effective system. Combating poverty and promoting human rights are inexorably linked and abject poverty is a denial of human dignity. Poverty alleviation must be at the heart of the United Nations. Furthermore, climate change must be a top priority for international leaders; the Paris Agreement was a major milestone. However, funding is insufficient to respond to challenges and States most affected by violent weather phenomena are those who contribute least to greenhouse gas emissions. 28 September - Evening (15:00 to 21:00). 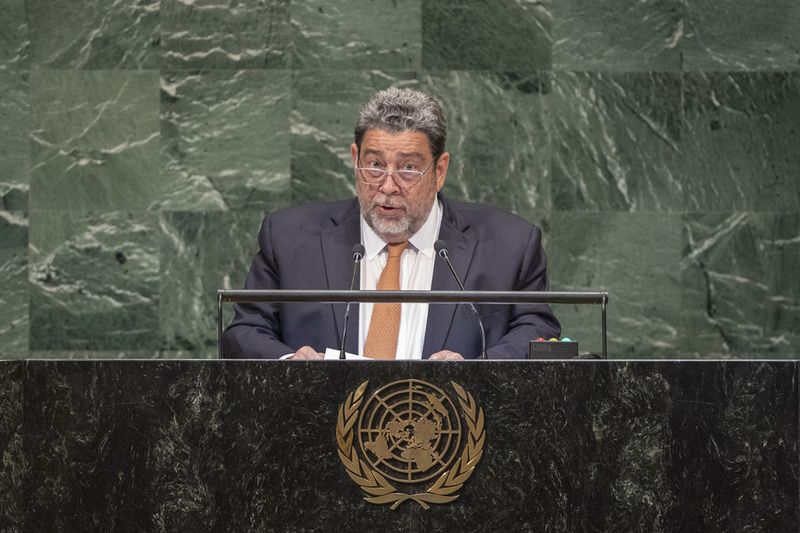 RALPH E. GONSALVES, Prime Minister of Saint Vincent and the Grenadines, said the adverse effects of the 2008 global economic and financial crisis have been far-reaching, especially for the countries least responsible for it. The financial architecture has been reassembled with little more than cosmetic changes; economic difficulties have caused many nations to look inward; craven demagogues have exploited economic hardship; and illiberal intolerance has risen in all corners of the world. “Solidarity has been sacrificed on the altar of political expediency,” he said, underlining the need for integration, cooperation and consensus building. 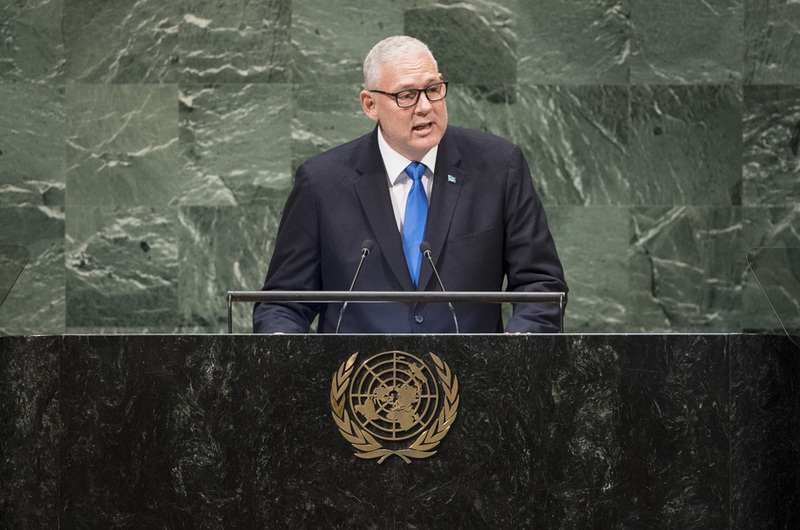 While acknowledging this context demands that the United Nations systemic flaws be urgently addressed, he stressed that the Organization remains the only institution with the authority and capacity to enable global cooperation. 28 September - morning (9:00 to 14:45). 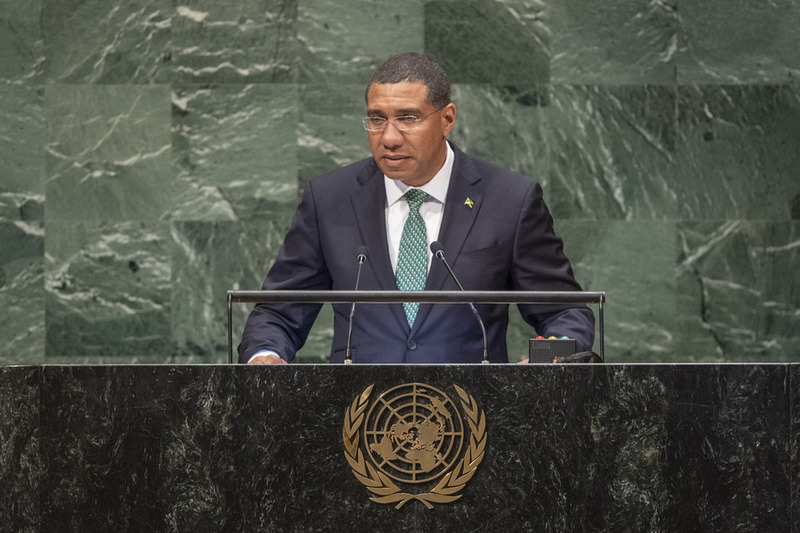 President of Guyana, said his Government remains committed to multilateralism, a principle under attack in some parts of the world. Threats to global multilateral governance are present in the United Nations and evidenced in stymied Security Council reform. He urged States to explore comprehensive organizational forms and arrangements that simplify decision‑making, noting that global governance and peace are inexorably linked. 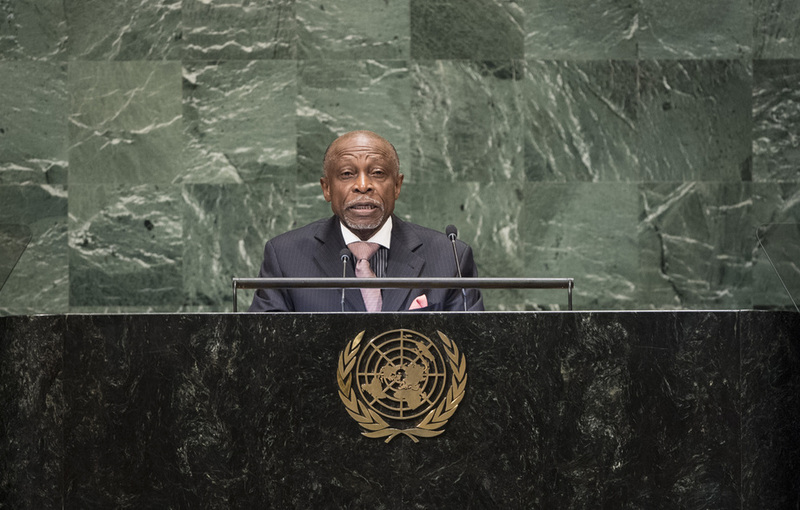 Voicing his full support for the Secretary‑General’s efforts to reform the Organization’s security pillar with an emphasis on preventive diplomacy, he said that for Guyana, and the region as a whole, the illicit trade in small arms and light weapons poses one of the most serious threats to human security and he called for international action against transnational crime. 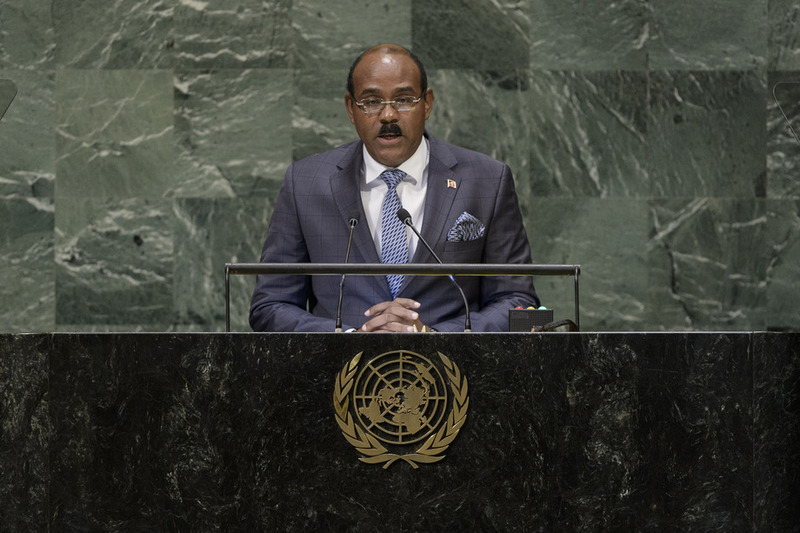 Prime Minister of Saint Lucia, underscored the challenges faced by small island developing States which are also middle‑income countries. While the world acknowledges their acronyms — “SIDS” and “MICs”, small island developing States and middle-income countries, respectively — little or nothing changes. 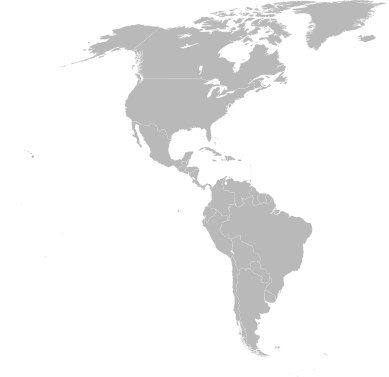 Economically vulnerable to “de‑risking” and the loss of correspondent banking relations, unable to access concessionary financing and unfairly tarnished by tax labels, Saint Lucia struggles under the weight of international frameworks that make it difficult to chart an effective path to sustainable development or even take control of its destiny. said a rules‑based world order with the United Nations at its centre is needed to address global concerns. 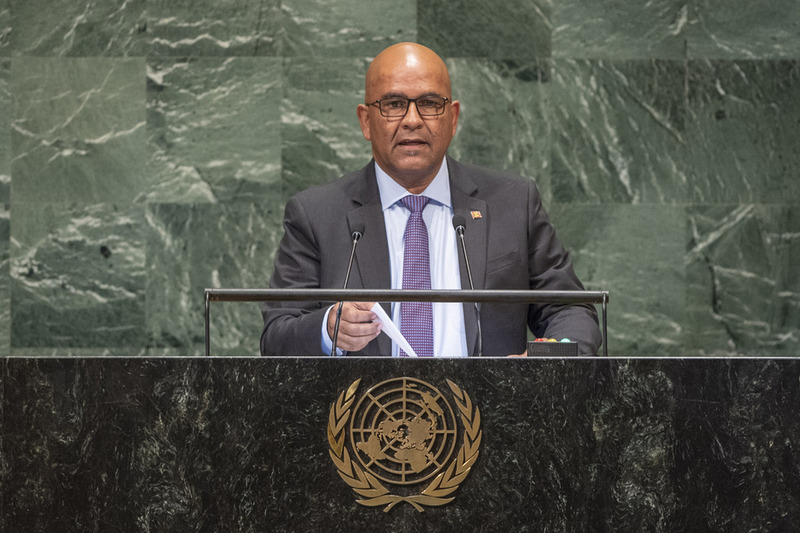 Noting that the mitigation of climate change requires the mobilization of funds, she pointed out that Suriname is among the most threatened countries that are directly impacted by the rise of sea levels. Approximately 80 per cent of its population resides in the coastal area, where its main productive activities are also concentrated. 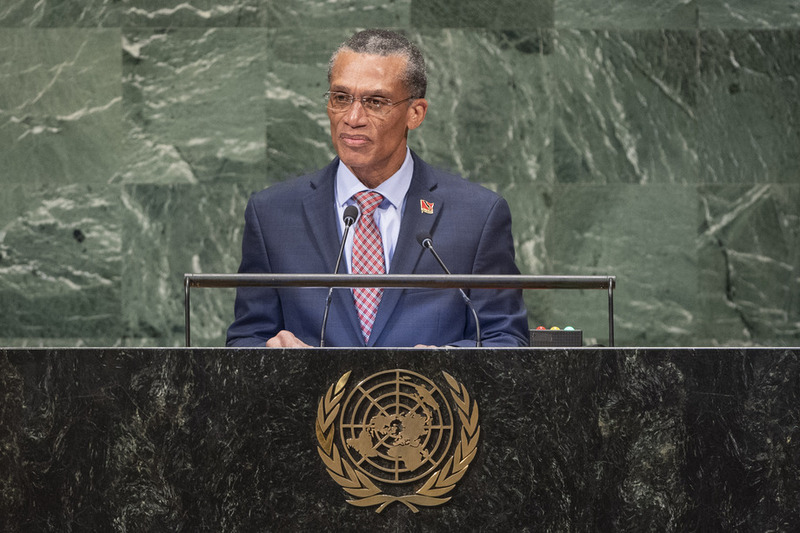 The forces of nature which recently struck again in the Caribbean and elsewhere are evidence the international community must move beyond the rhetoric and take immediate action. said María Fernanda Espinosa Garcés’ presidency of the General Assembly is an impetus for global rethinking and acceptance of female leadership. 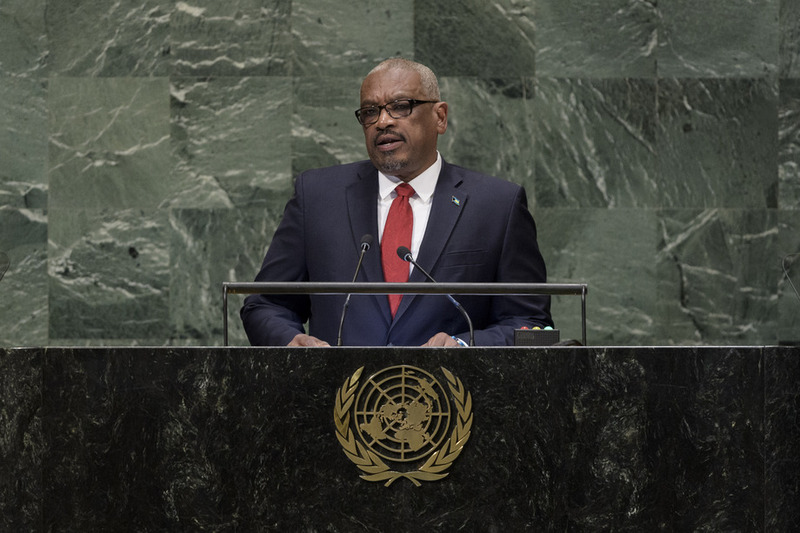 Further, this year’s Assembly debate compels States to reflect on the nexus between the United Nations reform agenda and the shared pursuit of a sustainable future. With the push towards cost-saving reform, the Organization must not lose sight of its foundational principles. Recognizing the need to serve all people, his country developed the “Vision 2030” national development strategy, as it is imperative to ensure equal opportunities are available to the most vulnerable members of society. 29 September - Evening (15:00 to 21:00). noting that the current year marks the thirty-seventh anniversary of the country’s independence, said that Belizeans have now enjoyed almost four uninterrupted decades of freedom, peace and democracy in a sovereign independent nation. During that period, the country’s leaders succeeded in making modest gains in sustainable development, notwithstanding a poisoned colonial legacy. 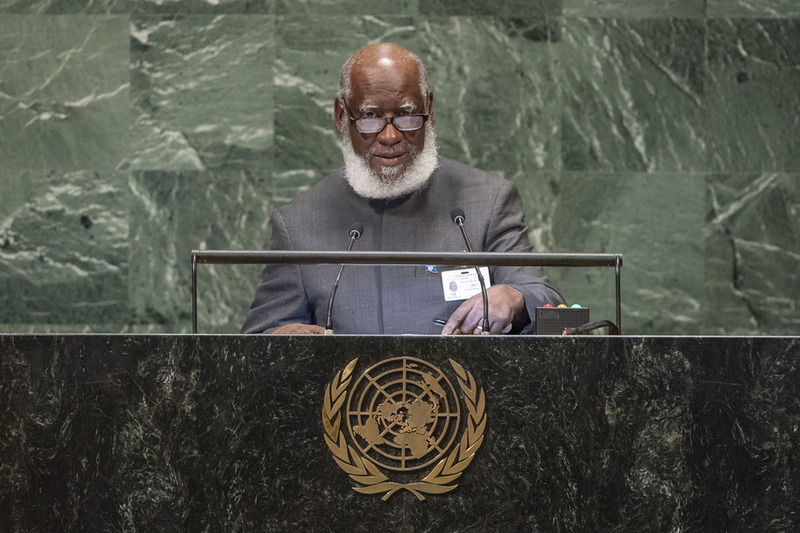 Acknowledging the United Nations role in the country’s journey to independence, he remembered Assembly resolution 1514, and subsequent resolutions which mandated the British to grant Belize independence. that there are moments in the history of a nation that captured its resilience. 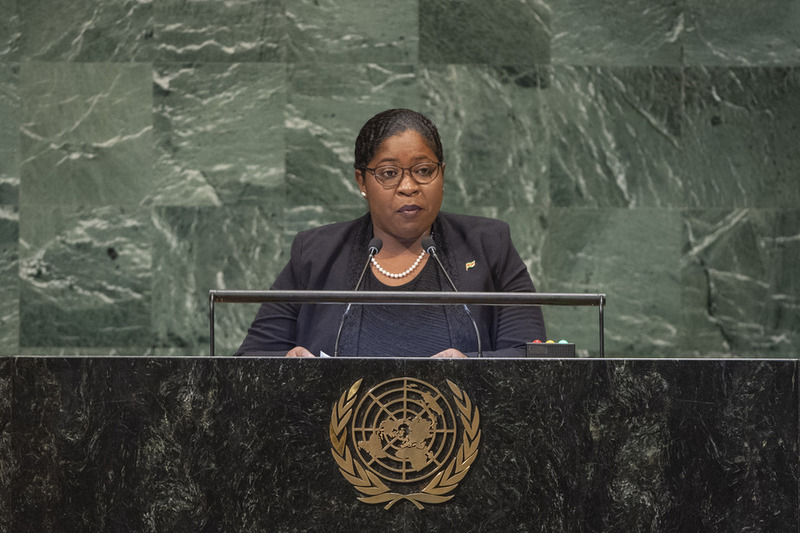 She noted that for Dominica, the moment came last year, when Hurricane Maria unleashed its fury of 180 miles per hour winds that brought the country to its knees. Immediately after, citizens began the daunting task of search and rescue, clearing roadways, and rebuilding. Applauding Dominicans far and wide for being part of the relief efforts, as well as members of the United Nations family, she thanked all who helped. New York, 27 September 2018 - The Secretary-General met with H.E. Mr. Carl Greenidge, Vice President of the Co-operative Republic of Guyana. 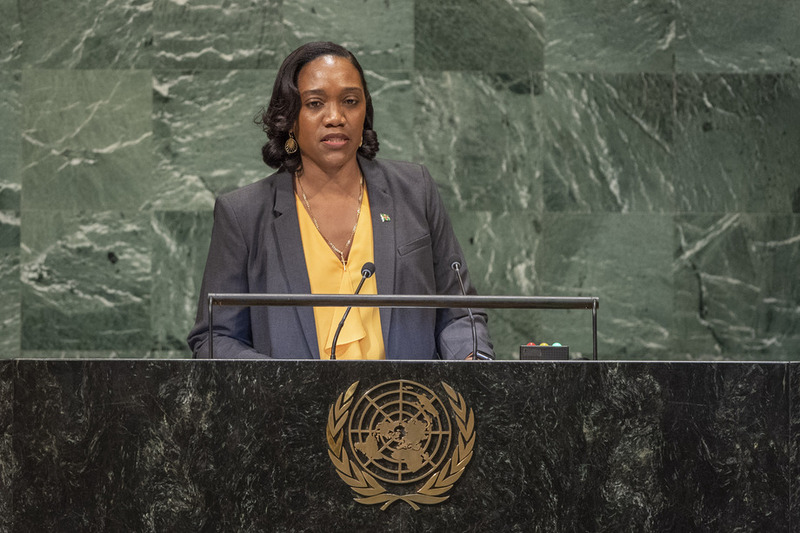 The Secretary-General applauded Guyana’s commitment to its Green State Development Strategy and underscored the United Nations’ support for the country’s strategy. The Secretary-General and the Foreign Minister further discussed regional developments. French le 27 september - Le Secrétaire général a rencontré S.E.M. Jovenel Moïse, président de la République d’Haïti. Le Secrétaire général a salué la mise en place du nouveau premier ministre et de son gouvernement. 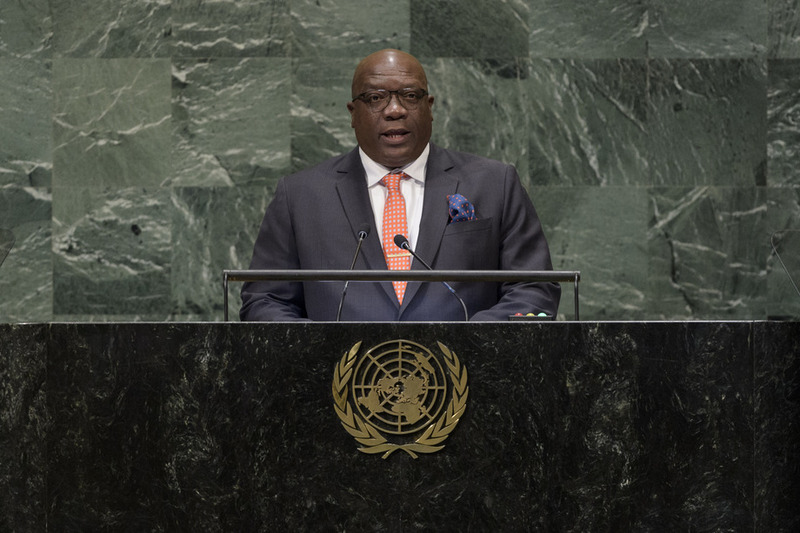 Le Secrétaire général a réitéré l'engagement des Nations Unies à continuer de travailler en étroite collaboration avec les autorités haïtiennes pour renforcer les institutions chargées de l'état de droit, tout en préparant une transition vers une présence des Nations Unies sans opération de maintien de la paix. Le Secrétaire général et le Président ont également discuté des efforts visant à atteindre des objectifs de transmission zéro pour le choléra. "We need action for peacekeeping, gender parity, financing for the 2030 Agenda, empowerment for the world’s young people, urgent steps to end poverty and conflict, and much else. I encourage you to tell your leaders to come to next week’s high-level week ready to be bold and ready to forge solutions for our global challenges."